220 Triathlon is for all those who won’t compromise, who don’t know how to give up and want to know how they can better themselves, always working on that competitive advantage, whether it’s against other athletes or your own PB. Buy a single copy or subscription to 220 Triathlon magazine. It is one of the leading monthly publications for competitors and fans of the world’s fastest-growing sport. 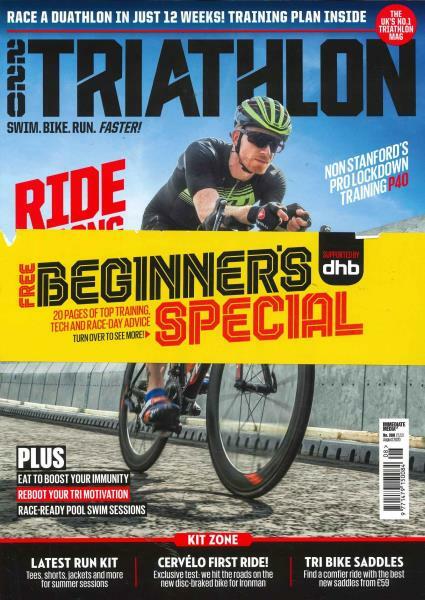 Combining in-depth gear tests with some of the best coaching advice from experts around the globe, and updates on all the latest action from Triathlon events around the world, 220 Triathlon magazine subscription is the perfect read if you want to immerse yourself in all things swim; bike; run. In a world where motorised transport has made traversing the land almost too easy, there are those who prefer to earn those hard yards, pushing their physical capabilities as they race from A to B – and back again. A 220 Triathlon magazine subscription is geared towards those who are driven to feel the sweat, the burn in the legs and the pounding of the heart. 220 Triathlon is for all those who won’t compromise, who don’t know how to give up and want to know how they can better themselves, always working on that competitive advantage, whether it’s against other athletes or your own PB. Don’t flounder in the open water or blow up on that last climb – get a 220 Triathlon subscription for your monthly dose of advice and guidance. Great Mag, packed full of really interesting 'stuff'.